Thank you for watching and please consider SHARING THIS VIDEO if you found it useful or know someone who might benefit from it. 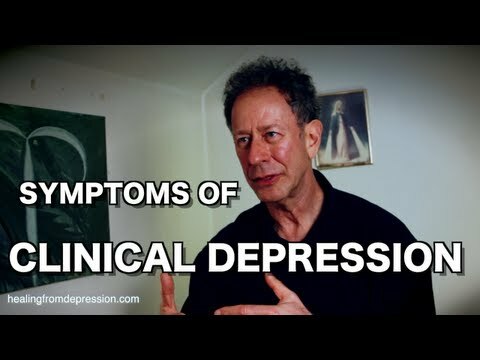 DEPRESSION SCREENING TEST: http://healingfromdepressio... IN THIS EPISODE: We continue with the 3rd installment of 1 on 1 With a Depression Counselor where Douglas Bloch takes us through the key symtoms of clinical/major depression. Douglas has not only studied depression and become a certified counselor and successfull author but he has survived 3 major depressive episodes in his life. The information to be learned from this man is endless and I (bignoknow) have been blessed to have him oversee my care and recovery from my own major depression. HOW DO I KNOW IF I'M DEPRESSED Or JUST SAD?